This entry was posted in Adventure, Family, Life in General, Money, Unexplainable and tagged ASDA, Best Slippers, Clarks, Clarks Men's Slippers, Dr Zhivago, Elizabeth Harper, Gifts For Men, Gifts Of The Journey, Hiking The TMB, John Winchurch, Morrison's, Most Embarrassing Moments, TMB, Tour du Mont Blanc, Wellie Socks. Bookmark the permalink. Ha ha, I like this image! After an afternoon filming a video with a couple of friends, I once chased someone about ten minutes up the main road of the town I live in before realising I didn’t have any shoes on because I had been dodging the water pistols we were fighting with. I then had to walk all the way back home barefoot. That was back when I was younger, though — these days I walk barefoot as often as I can get away with it, even on rocky ground! It’s a bad habit, I confess. I used to go barefoot all the time too, Miriam, but my feet freeze here so slippers have become very important. Ahh, but one quickly adapts to the cold… and I suppose I’ve always lived here so I got used to it. Dancing barefoot in the snow… always fun. So funny, I tell my hubby off for wearing his slippers to pick me up in the car, just incase he has to get out !! What kind of slippers does he wear, Anne? Hey, no need for embarrassment. Wearing your jimjams out for comfort and such is all the rage I hear. Besides, anyone with a pair of Uggs could be wearing slippers, too. Ugh! I hate Uggs, Mariellen! They remind me of when Britney Spears was wearing them with short shorts and suddenly teenage girls were doing the same. When Dan was about 4 we had to rush off somewhere in the car. When we got home, and I was helping him get out of the car he said, ‘Mum you look like an ugly old hag’ I was so gob smacked I didn’t ask what he meant, it seemed brutally obvious. Later I plucked up the courage to ask him what it was that made me look like ‘an ugly old hag’? He said it was because you were still wearing your slippers! It is really an adorable story that could totally happen to anyone in our family as we all love our comfy house shoes. And those soles look made for outdoor wear. They are great soles, Jenny. I’d recommend them. 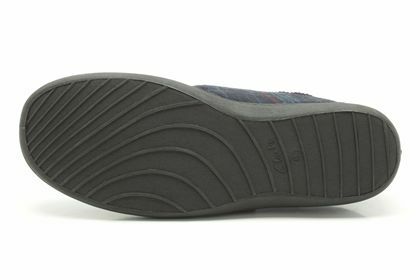 Clarks has other styles if you’re not into the velcro bit. Ha ha ha ha ha ha ha. I wouldn’t worry too much UNLESS he starts wearing his pajama bottoms out too. People do that here, and not just teenagers! The other day I saw a middle aged woman in the grocery store wearing pink fleece pajama pants with teddy bears on them…REALLY!? I’m all for comfort, but doesn’t pride come into it somewhere? Yes … well, wearing his PJs out would be funny as he doesn’t own any. I’m with you, I think after a certain age, jammies ought to be worn at home not in public. I adore your slippers, by the way. I once went swimming with a group of ante natal ladies. I got a few strange looks when I went in to the pool but thought nothing of it until I came out and went to get changed. I had put my swimming custome on at home as I was running late and I had forgotten to remove my underwear before getting in to the pool. So I had to go home with wet underpants on…. I am so laughing out loud right now, Sylvia. That story is golden! Thank you for taking time to comment. I should explain for my American readers that ‘antenatal’ is what we call ‘ prenatal ‘ in the US. and instead of swimsuit or bathing suit, you will frequently hear them called swimming costumes here in the UK. Driving a car can leave your heels looking quite dog-eared so, I used to have a pair of weather beaten, bleach-stained slippers that I would wear on the drive in to work. And then one day I forgot to put my heels in the car. 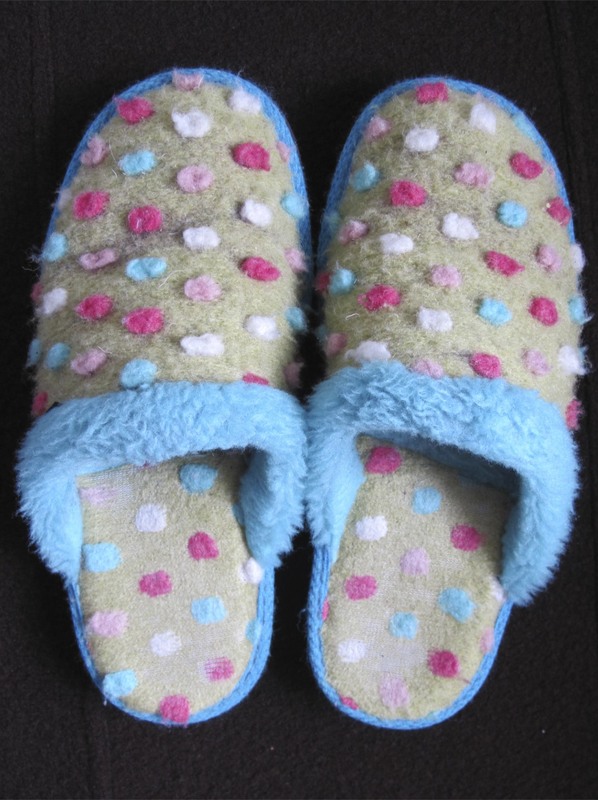 There I was in a gorgeous mint green dress and hose wearing these nasty, ratty looking gray-black slippers. I tried to keep my head up all that day despite the giggles I heard as I passed by. So funny! I can´t see that happening here, though. 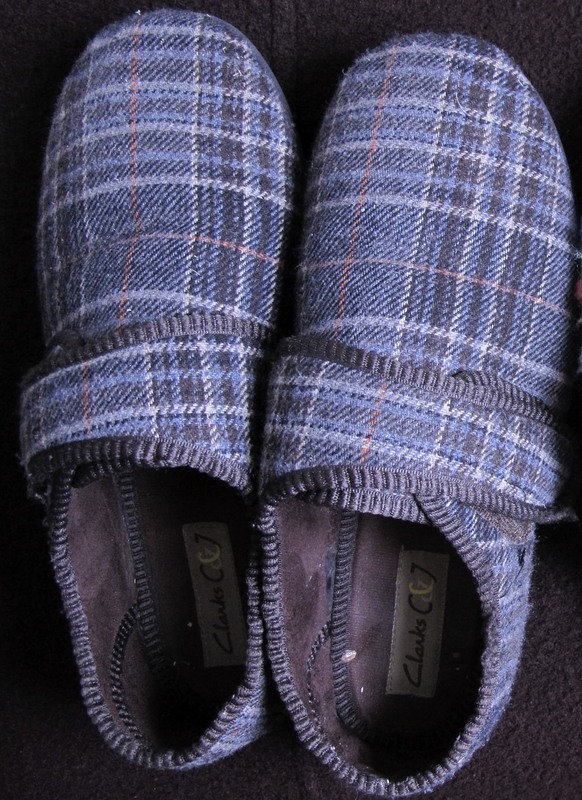 It´s either winter, and you wouldn´t go far in slippers when it´s minus twenty outside. Or it´s spring, and very wet and soggy. Or it´s summer, and too hot to wear slippers inside, outside or anywhere. Possibly in the fall. Maybe. For about a week. My most embarrassing moment was in 1986, when I had bought a compact camera that once you´d come to the end of a roll of film, rewound it automatically and then popped the lid open. When this wasn´t happening, I took it to the camera store and handed it over to the guy to help me. He looked at it and then looked at me. “There´s no film in this”, he said. I would have laughed it off easily now, but at twenty, I was red-hot embarrassed. The guy was slightly hot, too, which at the time added to my humiliation. Realizing while out and about that I was wearing two different sandles… Oops! Cute story Elizabeth! I can just see the look on your husband’s face when you asked if he’d been wearing the slippers in public again!